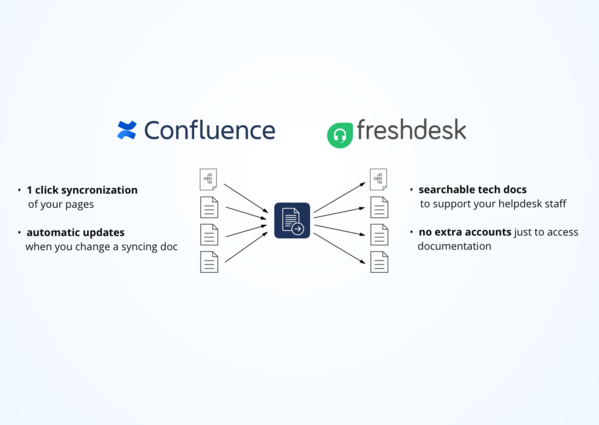 This add-on enables you to synchronize Confluence pages with your Freshdesk Help Center to make your product documentation accessible to your support staff without adding new users to your Confluence instance. No more copying your docs manually to your Freshdesk Help Center, or granting your support team access to another system to search for answers. Sync Confluence pages with only a few clicks. Synced pages are immediately accessible to your support staff as if it was a normal Freshdesk Help Center page, ready to support your agents finding answers. 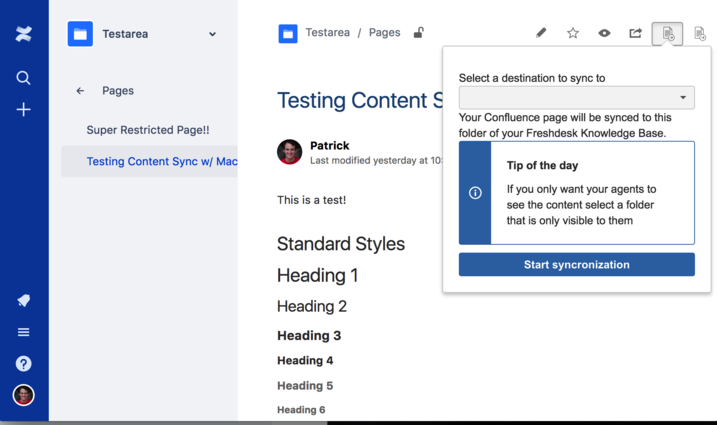 Knowledge Sync keeps your Freshdesk articles in sync with Confluence pages, so whenever you update a Confluence page it will update the associated Freshdesk article.